I have another Make and Take card to share with you! This one is from the March Make and Take! It’s simple, yet pretty. I started off with a 5-1/2” x 8-1/2” piece of Raspberry Ripple card stock that was scored at 4-1/4”. Next I cut a piece of Whisper White card stock 3-5/8” x 4-7/8”. 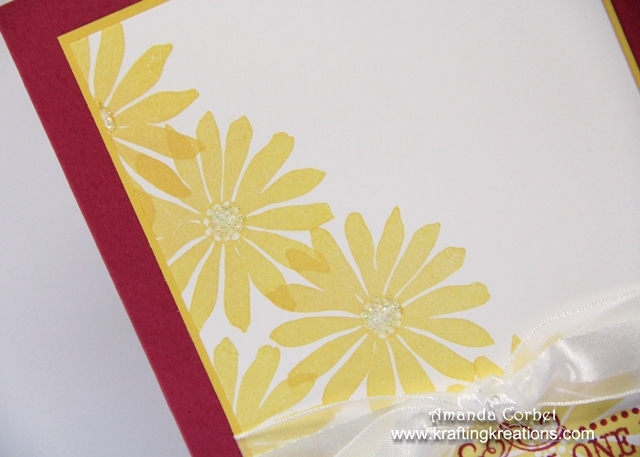 I stamped the flower image from Secret Garden several times on the card stock in Daffodil Delight ink. 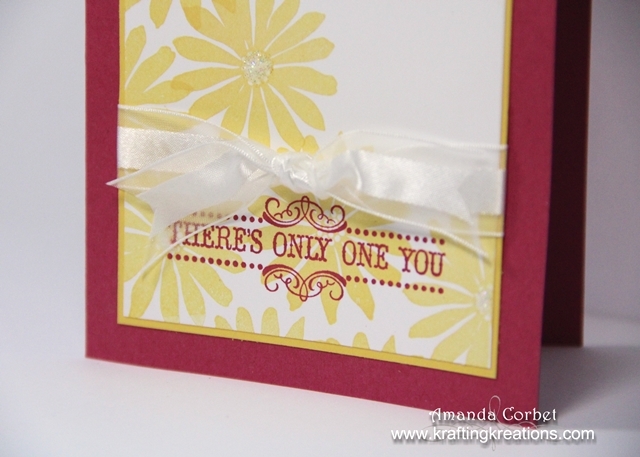 Next I stamped the greeting from Vintage Verses onto the bottom of the card stock in Raspberry Ripple ink. 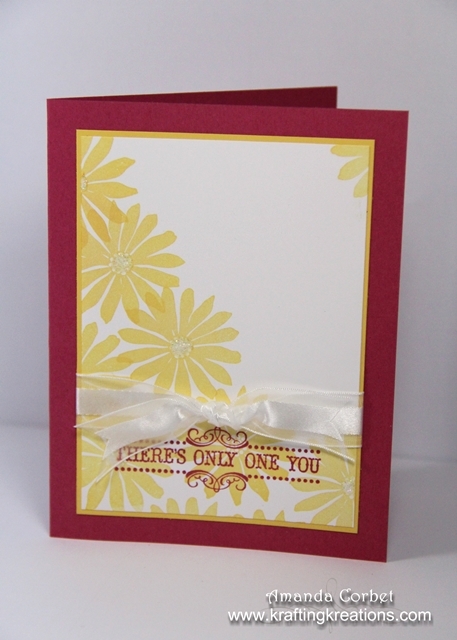 I adhered the stamped Whisper White card stock onto a 5” x 3-3/4” piece of Daffodil Delight card stock. Next I wrapped a piece of Whisper White organza ribbon around the panel, tied it into a knot, then adhered the panel onto the card front. Just to add some glimmer I added some Dazzling Details into each of the flower centers on the card stock. Quick and easy…and pretty too! What do you think?